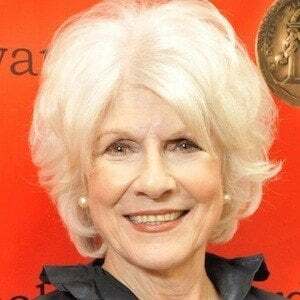 Famous for her National Public Radio (NPR) program The Diane Rehm Show, this popular host interviewed such prominent political figures as Barack Obama and Bill and Hillary Clinton. Also a writer, she published several autobiographical works, including Finding My Voice and Toward Commitment: A Dialogue about Marriage. She began her career in the early 1970s with a radio program called The Home Show. She later became the host of Kaleidoscope, a popular program that was subsequently renamed The Diane Rehm Show. She continued her radio career in spite of an ongoing battle with a speech-compromising laryngeal disorder known as spasmodic dysphonia. She grew up in Washington, D.C. in a Greek Orthodox Arab family with Turkish and Syrian roots. Her second marriage -- to John Rehm -- lasted from 1959 until his death in 2014. She conducted an emotional interview with Fred Rogers just prior to the Mr. Rogers' Neighborhood star's 2003 death.